That is still a better job than we did with our's a few years back. 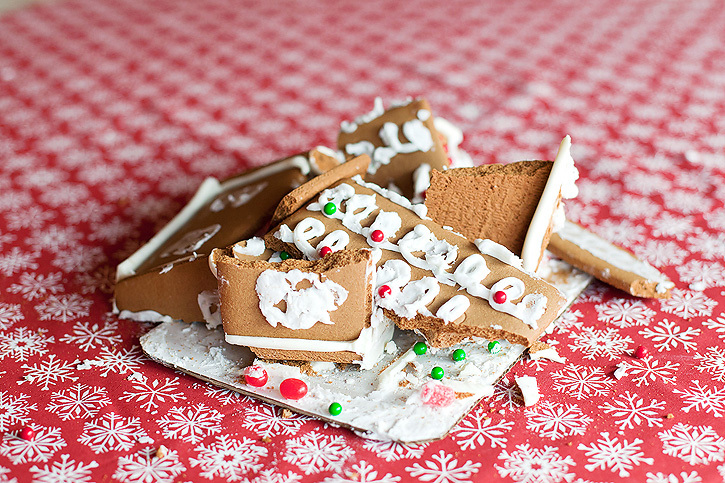 Our's fell apart as well. Fantastic and fun looking project! They do look like they were having fun and that is what creates those memories. 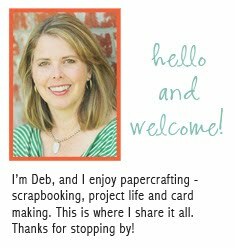 Lovely photos deb! Ha ha. So funny. We tried one last year and my MIL tried to "straighten" one of the walls and it broke. So Dustyn just decorated pieces. They don't taste good at all. True story! They NEVER taste very good :/ Great photos of them enjoying the moment though! I think they did a great job...looks great! I love that they still want to do those things...and it turned out so great! We had the same idea what to post about today. :-) Yours looks MUCH better than ours. But then ours is more "abstract." he he. Love that you got them this for the first time ever. Enjoyed the pics, they made me smile! Wow, they've got talent. 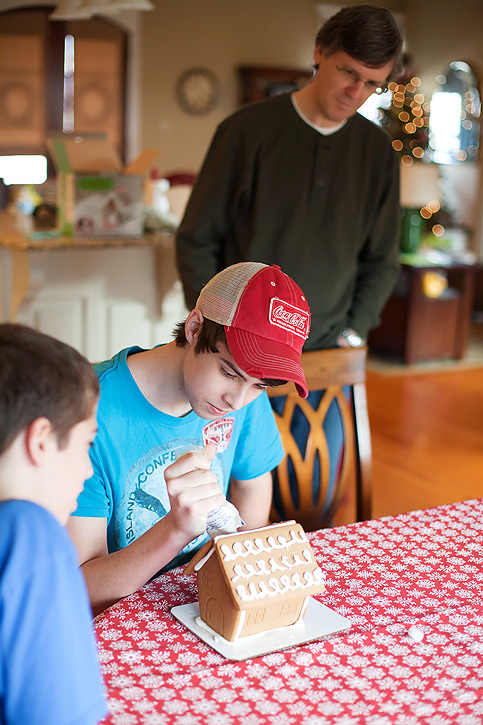 I struggle in the gingerbread house construction. I've even used tape before. Love that your boys would do that for you! great photos! Happy New Year! What a great activity for the 24th. The boys did a great job. I think the final shot is tremendous - leftovers. As always, a great series. LOL! Yes, we learned when doing this with my nephew that the materials aren't really worth eating, haha. I didn't try this with A this year, but look forward to doing it next year! I studied German in high school and we always made them from scratch (my teacher had really cool cast iron molds) in class. It was a lot of fun! I really like these photos, a nice house and rich, the poor broken down, I wish you happy holidays and a wonderful 2012. I love your photos, and especially that you got some bokeh from your Christmas tree in the background of the one! I have never done one of those! They look like they had fun and it is so great that your boys seem so close!! Loe the aftermath, a teenage tornado came through! Oh, they did a great job! I think those things are always so hard to make. They did such a great job! I have been wanting to do this with my kids for a long time now. Years ago my mom visited & brought her home made pieces & they all played with making the houses- but I have not continued it. I really should as it's so much fun! 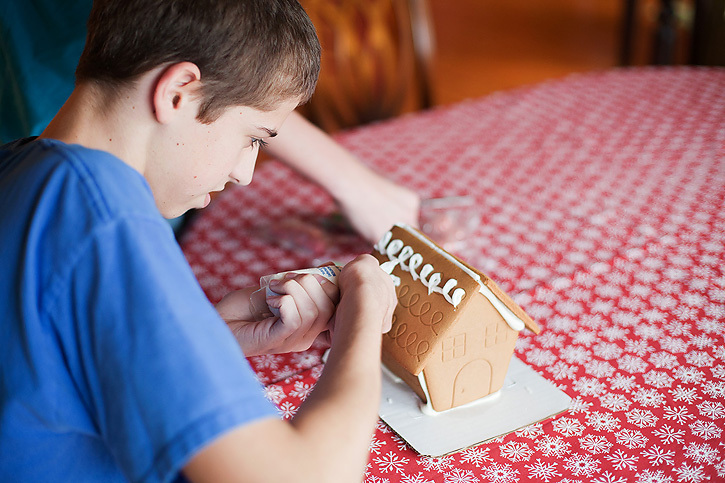 That's so cool..making a gingerbread house.. my kids have yet to try that. Your boys do look like they are enjoying themselves. 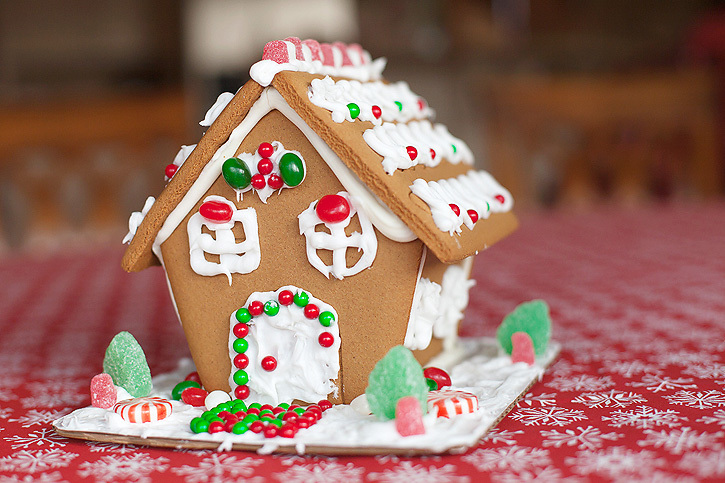 I've always meant to make a gingerbread house but never have. They do look great - pity they don't taste as good as they look. well, they sure looked like they had fun putting it together....and obviously they enjoyed the eating of it afterwards...great series of shots, tells such a cute story!! their decorating skills are still leaps and bounds better than my guy's!!! Love the shots ;D And I agree, they really don't actually taste very good. I just tossed my yesterday! I've always wanted to try that with my kids, looks like they had a good time. your boys are soo handsome!! love the photos, thanks so much for sharing. Lol I've heard that those things taste awful, but I've never tried one myself. Have a happy New Year! It looks good, never had one myself...the boys did a great job of decorating it. 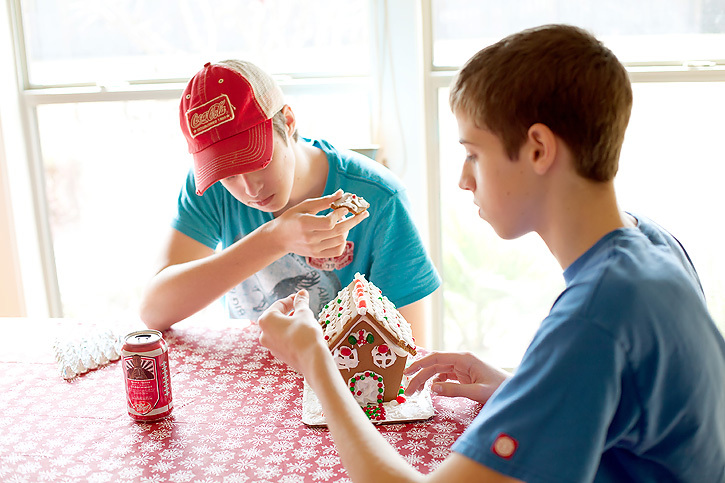 Gingerbread house construction is fun! and now my grandkids do. no baking the walls and hoping they fit together well. 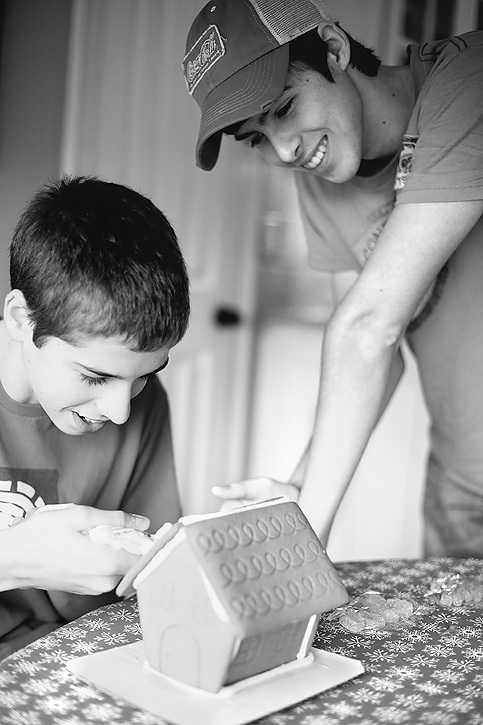 They are the best gingerbread house makers around. Very nice! I just found your blog and I'm a new follower. I linked up my gingerbread houses too. I'd love it if you'd stop by my blog. Fun photos! 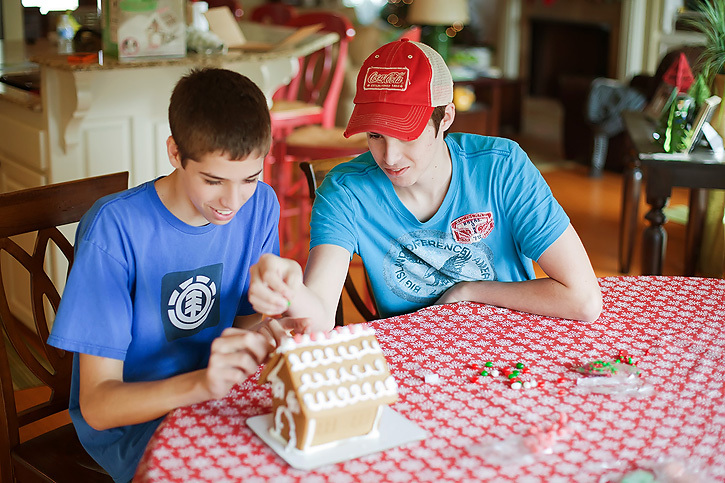 Gingerbread houses are one of our Christmas traditions. And no, they don't taste very good! lol Every year I say that I would like to make my own gingerbread so I know what's in it but it's just so easy to buy it. Then, we end up just throwing it away. So silly, but fun! looks like a pretty good team effort to me! 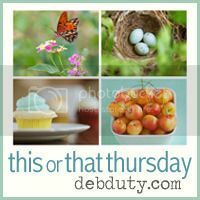 What a wonderful series of images Deb. It certainly looks like fun! I have often thought about doing the same with my children & wondered if it would actually taste nice (I love gingerbread). I think they did a great job. My son would never have had the patience. And Christmas is all about the memories! They did good! Last year my son lasted about 20 minutes! This year we got the box of "mini's", 5 tiny little houses and never got to them, maybe if we're bored we'll do them tomorrow night!